The impressive Mercedes CLA as well is the CLA Shooting Brake have been revamped though the exterior styling tweaks are barely noticeable, the interior and engines have been improved. The facelift includes new light alloy wheels, a diamond radiator grille as standard in black and new bumpers; among the other enhancements are new seat covers and trims and chrome plated controls. In the cabin there’s more smart phone integration and a slimline version of the 8inch touchscreen display to help boost performance of the Android Auto and Apple CarPlay systems. However, the carnmaker has also opted to improve the fuel efficiency of the Mercedes CLA range including the 180 d BlueEfficiency which now has emissions from 89g/km and economy of 81 mpg though this falls to 78 mpg in the shooting brake. 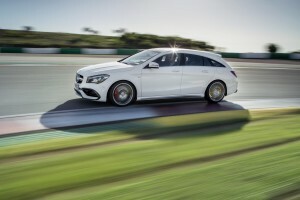 Among the changes for the Shooting Brake and the Mercedes AMG CLA 4Matic Coupe is an upgraded interior and more dynamic styling – engine enhancements also ensure they are now the most powerful cars for their segment with a four-cylinder petrol engine that produces 376 bhp and returns 41 mpg while having the ability to sprint from 0 to 62 mph in 4.2 seconds..
There’s also a new frugal version of the CLA Shooting Brake with the 180 BlueEfficiency 1.6 litre petrol engine producing 120 bhp to return 51 mpg. 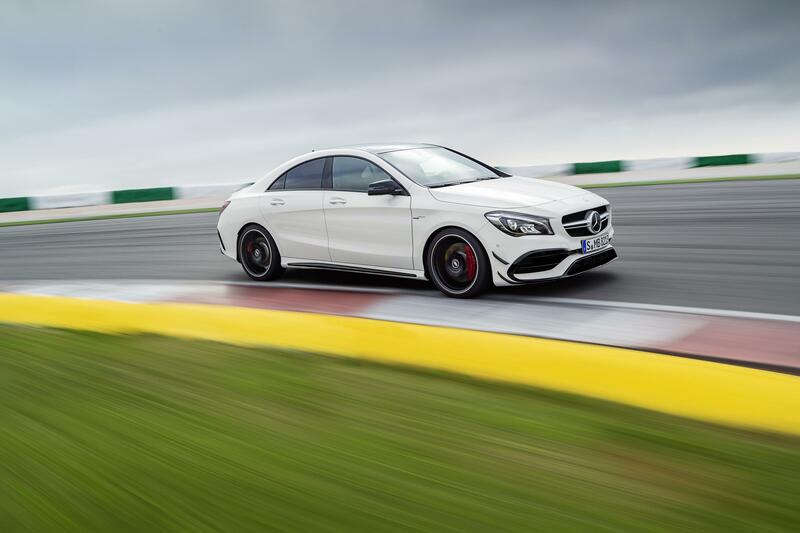 Mercedes has also uses the opportunity to introduce a new all-wheel version of the CLA 220 4Matic which has a 2.0 litre petrol unit, a seven speed automatic gearbox that helps produce 181 bhp. 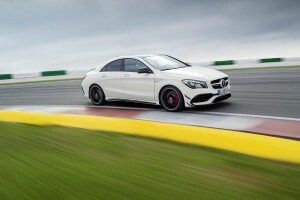 Hopes are high that the revamp will continue the sales success for both vehicles which are the fourth and fifth members of the firm’s line-up of compact cars; along with the CLA and CLA Shooting Brake, Mercedes also has A Class, the B Class as well as the GLA to help them shift more than 582,500 models last year – a rise of nearly 26% over 2014. Both the Mercedes CLA and CLA Shooting Brake will be landing in showrooms in July but they are available to order now though there is no indication from Mercedes how much the revamped cars will cost. This entry was posted in Car Leasing, Cars, Executive Cars, Popular Cars and tagged Mercedes CLA by Steve Lumley. Bookmark the permalink.